Hi. 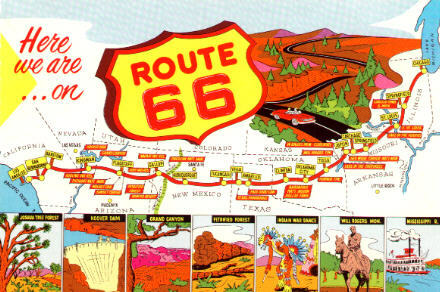 Welcome to the roadsidephotos.sabr.org Route 66 home page! Coming soon: "End to End on Route 66," a gallery of hundreds of photos. TRAVEL MAT MAPS Travel Mat maps of Route 66, 1959. Recommended for high speed connections only!